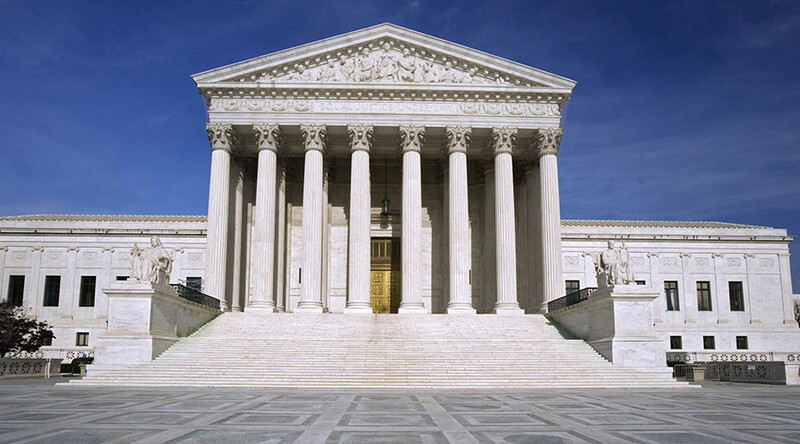 The US Supreme Court is scheduled to hear several cases with wide-ranging impact this term, and President Donald Trump’s nominee could affect how decisions are made on education, patents and trademarks, excessive force, the US-Mexican border and more. Other cases the court could consider, especially once the ninth justice is seated, include the death penalty, voter ID laws and a woman’s right to bodily autonomy. Currently, if the eight-judge Supreme Court deadlocks, the decisions made by the lower courts remain in effect, but are open to future challenges. Justices can also choose to re-hear cases once the court has a full bench, at which point their decisions would once again set legal precedent throughout the country. However, by taking a case, the eight justices indicate that there are enough votes one way or another, according to LA School Report. Regardless of who Trump nominates, if approved, the justice would not significantly change the ideological makeup of the court from where it was during the majority of the Obama administration. Then, conservatives had a 5-4 majority, with Justice Anthony Kennedy providing the swing vote on close cases. There are at least three education-related cases on the docket for this term, which has already started. The cases also touch on such diverse topics as educational standards for people with disabilities, rights for transgender people, and access to government benefits for religiously affiliated schools. One of the cases, Endrew F. v. Douglas County School District, was already heard earlier in January. In Endrew F., the Supreme Court will decide what level of educational benefit is “appropriate” for students with disabilities. The petitioner, a 15-year-old boy with autism and attention deficit disorder, attended public school in Colorado through fourth grade. At that point, his parents pulled him out, claiming the Douglas County School District wasn’t providing him a “free and appropriate education” in accordance with the Individuals with Disabilities Education Act (IDEA). Endrew’s parents are seeking to have the district pay for the cost of his private education. Circuit courts around the country have set different standards for the appropriate level of educational benefit; in this case, lower courts have said the district need merely provide benefits “just above the trivial,” according to LA School Report. 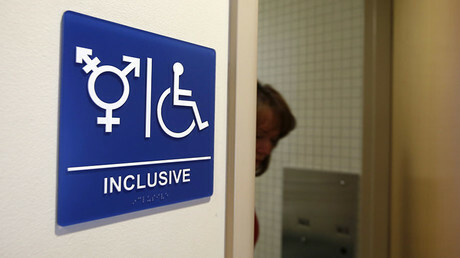 Transgender bathroom rights are at the center of Gloucester County School Board v. G.G., which has yet to be scheduled. The school board for a Virginia county wants to prevent a transgender student to access a bathroom that matches their gender identity. The student, Gavin Grimm, 17, was born female but identifies as male, and was allowed to use the men’s room at his school until the school board stepped in. A lower court ruled that the board likely violated federal civil rights law by reserving the men’s room only for ‘biological’ males. In Trinity Lutheran Church of Columbia v. Pauley, the Supreme Court will look at whether Missouri can bar a religiously affiliated school from participating in a government program that provides rubberized material made out of recycled tires for playgrounds. An 1875 amendment to the Missouri constitution says: “No money shall ever be taken from the public treasury, directly or indirectly, in aid of any church, sect, or denomination or religion.” The school argued that “safe rubber playground surfaces… serve no religious function or purpose,” and thus its religious affiliation should not be considered a violation of “the state’s anti-establishment concerns.” The result of the case could play a role in the school choice debate championed by Trump’s nominee to lead the Department of Education, Betsy DeVos. While often considered a boring, highly technical aspect of the law, several patent and trademark cases could have far-reaching consequences. On January 18, the justices heard arguments in Lee v. Tam over whether the name of a rock band is considered offensive. The Slants, an Asian-American band from Portland, Oregon, says it chose the name to push back on negative Asian stereotypes by “owning” them. The justices have accepted, but not yet scheduled, the case of TC Heartland LLC v. Kraft Foods, which will decide where lawsuits claiming patent infringement can be filed. Indiana-based Heartland, a company that produces sweetened or flavored waters, was sued for patent infringement by Delaware-based Kraft. The case was filed in Delaware, where Heartland doesn’t operate. The case will be closely watched by so-called “patent trolls,” or those who buy patents solely to sue other people for infringement, according to the National Constitution Center (NCC). Another case that has yet to be scheduled is Los Angeles County v. Mendez, which centers on excessive force by police officers and their subsequent immunity for actions taken in the line of duty. During a search for a felony suspect who was considered armed and dangerous, police officers saw the silhouette of a man who appeared to be holding a rifle, and opened fire on the backyard shed where the man was. The homeless man was holding a BB gun. He and his wife were both shot and wounded. While a federal trial judge said the officers did not use excessive force, he did rule that the officers provoked a violent situation, because they did not announce themselves and illegally entered the shack after being told the couple was living there. However, the California county argues that a 1989 Supreme Court decision overrides the liability for provocation, because the use of force was deemed reasonable. In Hernández v. Mesa, the Supreme Court will decide whether a Mexican family has standing to sue a US Border Patrol officer. The officer was in Texas when he shot and killed a Mexican teenager across the border. The agent claimed a group of teens were throwing rocks at him. The Fifth Circuit Court of Appeals ruled the victim’s family could not sue, because the teen was a Mexican citizen and thus not protected by due process under the Fifth Amendment or by the Fourth Amendment.